Our SPD Kraken in DIY mode in a full color sticker. A design that represents those who who take it upon themselves to do it yourself. 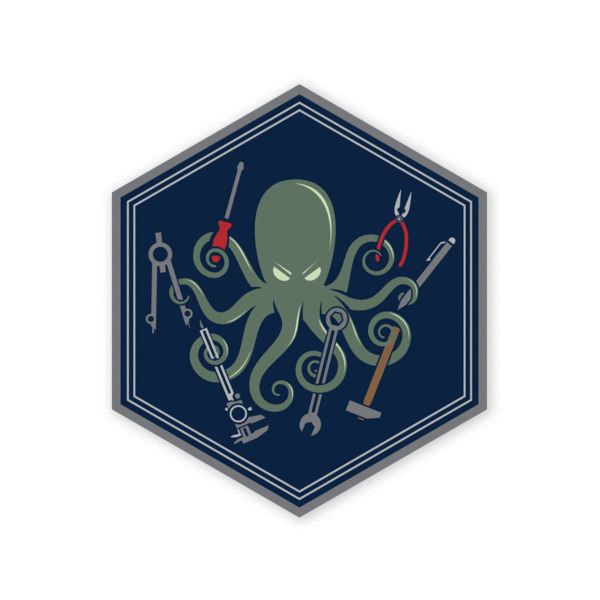 You fix, tinker, and build with your own tentacles...uh, we mean hands.